League One strugglers Crewe Alexandra have re-signed striker Ryan Lowe from Bury on loan until 5 January. The 37-year-old spent two seasons at Gresty Road between 2006 and 2008. 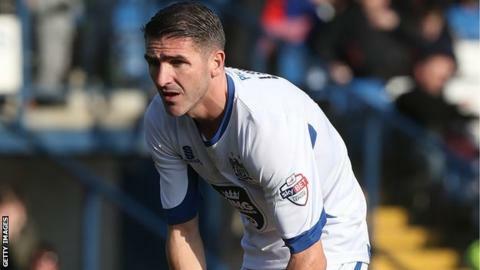 The former Shrewsbury, Sheffield Wednesday and Tranmere Rovers forward, scored 11 goals for Bury last season as they won promotion from League Two. Lowe, who has not featured for the Shakers since 29 August, goes straight into the Alex squad for Tuesday's trip to Colchester.